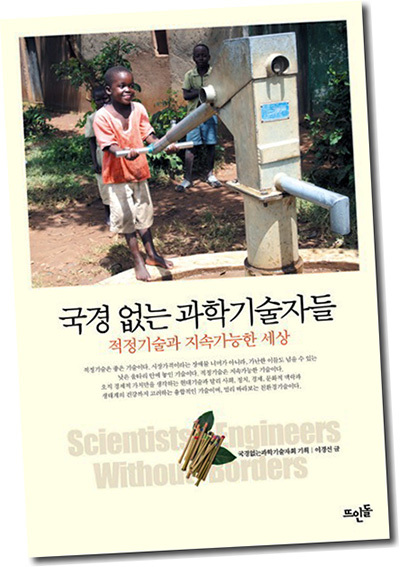 Kyungsun Lee, in her second semester in ESF's environmental and natural resources policy doctoral program, published her first book,Scientists and Engineers Without Borders: Appropriate Technology for a Sustainable World (Seoul: Danielstone Publishing Co., 2013. ISBN 978-8958074878). Although the notion and practical development of appropriate technology has received attention, there is not yet clear consensus about its use or deployment in Korea. Scientists and engineers currently involved in developing appropriate technology for the developing world have diverse views about it, based on their individual backgrounds and professional experience, and their orientation on the role of science and technology in the society. Even while their views may vary, they share a common goal: creating a sustainable world. Lee's book introduces these scientists and engineers to the general public and is aimed at inspiring readers themselves to get involved. She explores Korean scientists' and engineers' diverse experiences and perspective on appropriate technology through more than 20 interviews. Korean professionals in academia, business, the public sector and non-governmental organizations share their successes and failures in developing and deploying appropriate technology in Asia, Africa and South America. Together, they take on a range of environmental problems including water, energy and regional development. Lee said she hopes readers will get some ideas about how they, too, can contribute to development of appropriate technology, and its use in poorer areas around the world. At present, her book is available only in Korean. Lee has a bachelor's degree in chemical engineering and a master's degree in the history of science, both from Seoul National University, Korea. Her advisor is Dr. David Sonnenfeld, a professor in ESF's Department of Environmental Studies.